Matteo L. "Matty" Brunetti 108, of Houston, Texas, and a former longtime Franklin resident died, Sunday May 12, 2013 at the Grace Healthcare & Rehabilitation Center in Cypress, Texas, following a brief illness. He was the husband of the late Lena (Arcaro) Brunetti who died in 1990. Born August 24, 1904 in Casalvecchio, Italy a son of the late Antonio and Maria D. (DaLoia) Brunetti, he came to America as a child, and first settled in Milford where he was educated, and moved to Franklin in the late 1920's where he remained until moving to Texas 22 years ago. 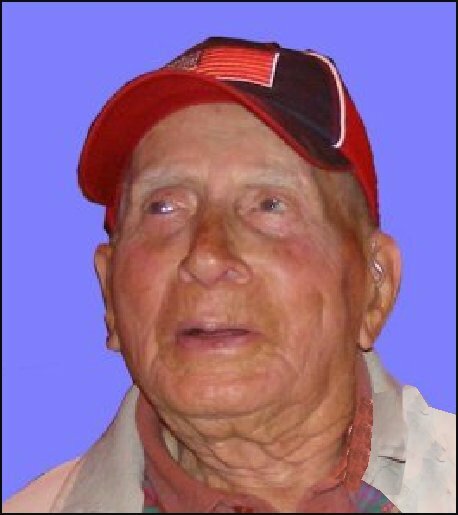 Mr. Brunetti was a textile worker for the Clark Cutler McDermott Company in Franklin, and retired in 1976 after 30 years. He was also a licensed barber in the Jamaica Plain section of Boston for 15 years. He was a member of the Textile Workers Union of America Local 31 and a former member of the Franklin Senior Citizens, and St. Mary's Church. He is survived by a daughter Marie L. Petitt of Franklin and a son in law Tony Hutcheson of Houston, Texas, 8 grandchildren, 17 great grandchildren & numerous great great grandchildren. He was the father of the late Dolores Hutcheson, grandfather of the late Michael M. Hutcheson, and brother of the late Joseph & Patrick Brunetti. Relatives and friends are invited to attend his funeral Friday May 17th at 12:30PM from the Charles F. Oteri & Son Franklin Funeral Home 33 Cottage St. Franklin, followed by a funeral Mass in St. Mary's Church 1 Church Sq. Franklin at 1PM. Interment will follow at St. Mary's Cemetery .